Custom metal art creations in copper, brass and bronze, with distinctive sea life, nature and coastal-inspired themes. 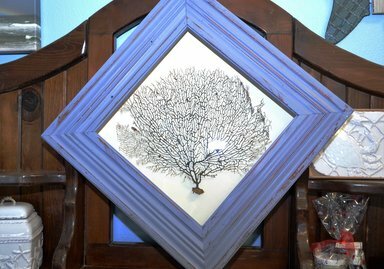 Interior design inspired salvaged coral sea fans in shadow boxes framed using reclaimed lumber from antique homes. These are just a few examples of our artistic touches available. Let our SeaCasas team help you design the right art piece for your home.